A 13-day safari to the deserts and bushveld of South Africa focusing on some of Africa's rarer mammal species, plus birds and other wildlife. South Africa is home to a superb variety of wildlife, including the classic safari ‘must-sees’ such as Lion, Cheetah, Elephant, and Giraffe. 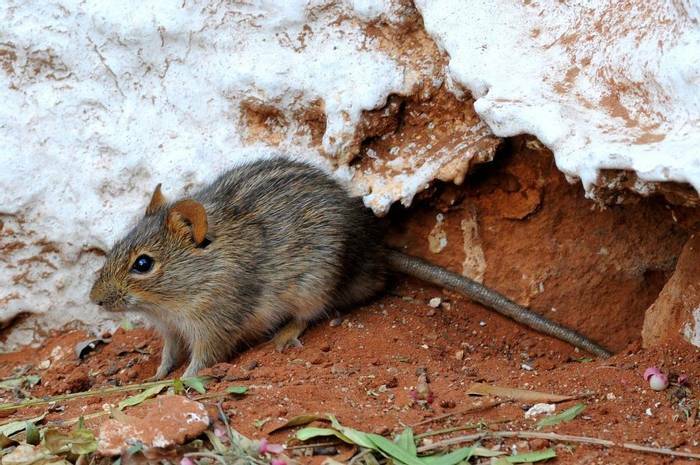 But it is also home to another selection of much shyer mammals that are equally thrilling to observe. Many of these are nocturnal and, while we will also look for the iconic species above on this tour, our focus will be on the more rarely seen mammals such as Aardvark, Aardwolf, Brown Hyena, Black-footed cat and, for the fortunate few, perhaps even Pangolin! Our quest will be located in the north of this stunning country and key areas we will travel to include Mokala National Park in Kimberley, a 2-night stay exploring the bushveld of Augrabies National Park and we conclude with four days in Kgalagadi Transfrontier Park which spans 3.3 million hectares of dunes and spectacular rocky desert, home to Meerkats, Bat-eared Foxes and the beautiful black-maned Lions of the Kalahari. All the group had visited Africa before and there were some keen spotters amongst us. This meant that we had some truly excellent views of many of the very hard to see animals that were a feature of this trip. 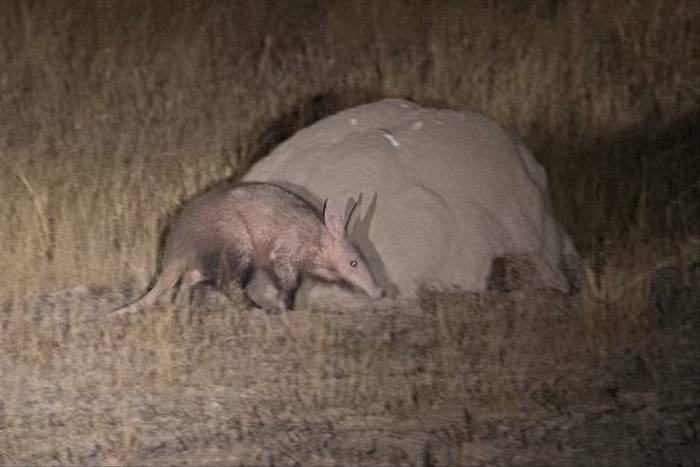 Aardvark being one such and we had very good views of several animals on two nights. 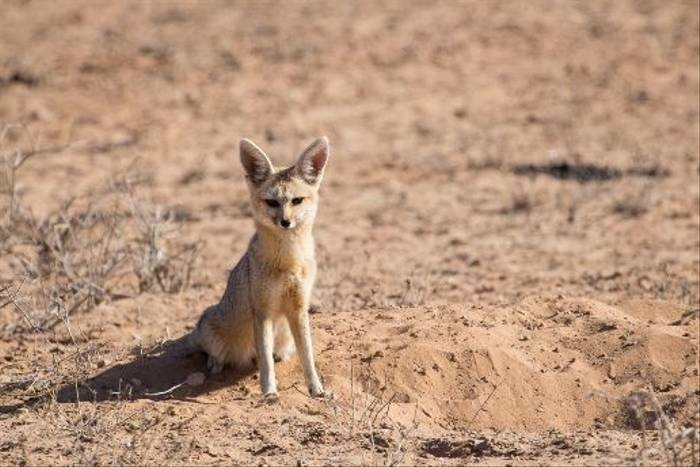 The highlight for me after a brief nighttime view was when Jason, our guide spotted a Cape Fox curled up outside its burrow only a little way from the vehicle in daylight and posed for some wonderful photos. We stay in a simple but comfortable guesthouse in Kimberley, followed by national park chalets in Augrabies, and a mix of national park chalets and three nights in a small exclusive lodge in the Kgalagadi Transfrontier Park. All rooms have private facilities. For first time travellers to Africa there can be few experiences more exhilarating than seeing your first Lion, Rhino, Giraffe or Elephant, and there is no doubt that these are the classic images that are conjured up in most people’s minds when they think of this wonderfully diverse continent. 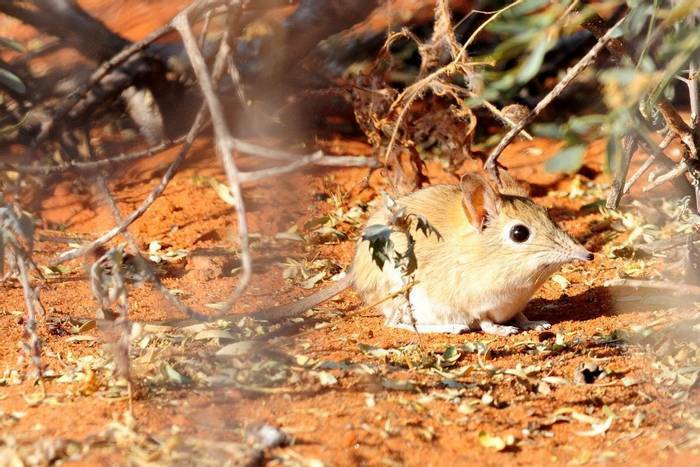 Whilst all of these animals are exciting to find and a privilege to watch, southern Africa is home to another selection of much shyer mammals that do not show themselves quite so readily, but are equally — if not more — thrilling to observe. Many of these species are nocturnal and use the star-studded African night for cover. As such they are rarely seen and demand both the patience and dedication of the observer, coupled with a degree of good fortune, to find! Thoughts of such species as Aardvark, Aardwolf, Bat-eared Fox, Black-footed Cat and Brown Hyena may get the pulses of many a wildlife enthusiast racing, but they are tantalisingly out of reach on a ‘classic’ African safari where the ‘big five’ take precedence and night drives are rationed. On this unique tour to South Africa’s deserts and bushveld, however, we plan on offering nocturnal excursions on eight evenings and will visit three of the region’s very best areas for our target mammal species: the Kimberley, Augrabies National Park and the Kgalagadi Transfrontier Park. During the day we will explore these beautiful areas in search of such inhabitants as the famous black-maned Lions of the Kalahari, plus Cheetah, Gemsbok, Ludwig’s Bustard, and Cinnamon-breasted Warbler. Then, when the sun sets, and with spotlight in hand, we will head out in search of our rare nocturnal quarry, outlined above. 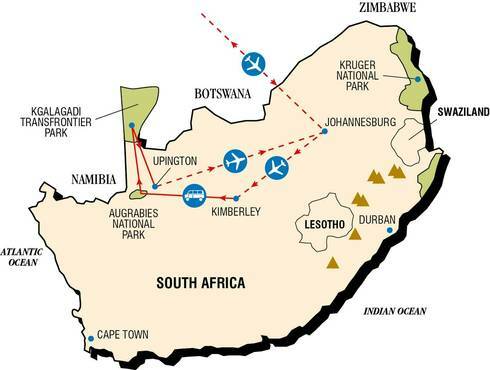 Our holiday begins with an overnight flight to Johannesburg from where we make the short hop south-west to Kimberley, the capital of the Northern Cape Province, which jumped to fame almost overnight in 1871 after the discovery of diamonds. 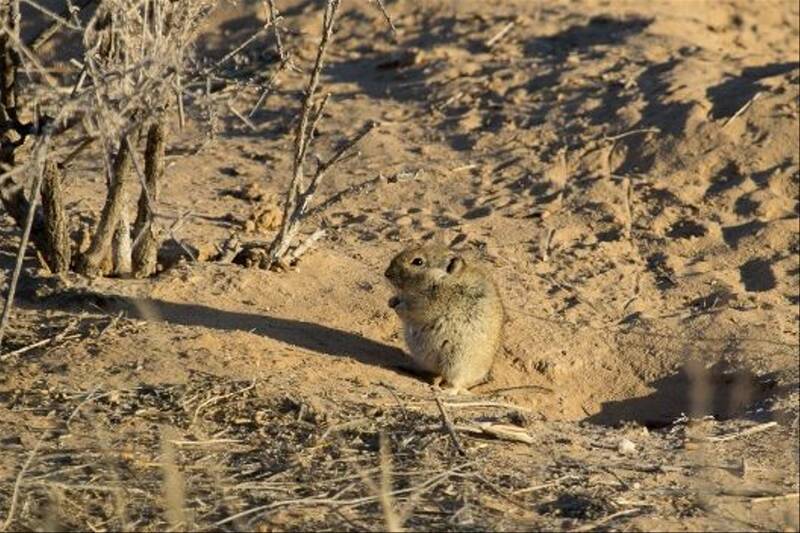 We will focus our attention, however, on the dry rocky bushveld that surrounds the town and go in search of a few ‘rough diamonds’ of our own, in particular the rare Black-footed Cat and perhaps the most enigmatic of all African mammals, the peculiar Aardvark. 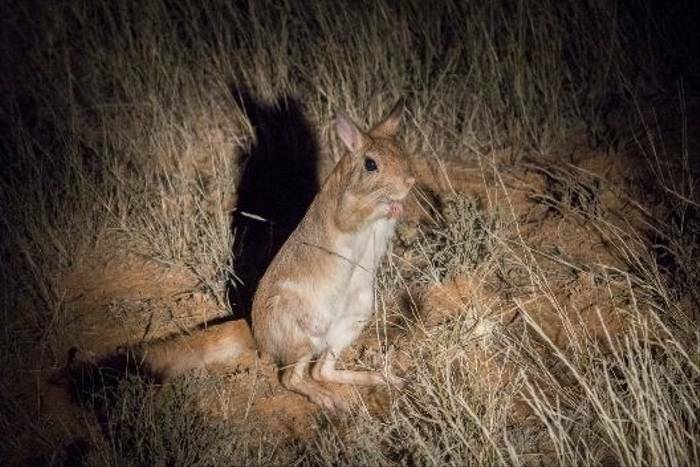 Other nocturnal inhabitants to look out for include Bat-eared Fox, Cape Hare and the bizarre Springhare, whilst during the day we may see Roan Antelope, Tsessebe, Swallow-tailed Bee-eater and the attractive Rufous-eared Warbler. We next move west to Augrabies National Park for a 2-night stay at a rest camp spectacularly positioned next to Augrabies Falls, the most famous feature of the park which plunges into the deep canyon carved by the Orange River. Southern Giraffe and Springbok live in the surrounding bushveld along with Pygmy Falcon and the very local Cinnamon-breasted Warbler. Nocturnal inhabitants include African Wildcat, Cape Fox and the second of Africa’s ‘Aards’, the Aardwolf (Afrikaans for ‘earth wolf’), a fascinating relative of the Hyena that feeds exclusively on termites, consuming up to 300,000 individuals in a single night! 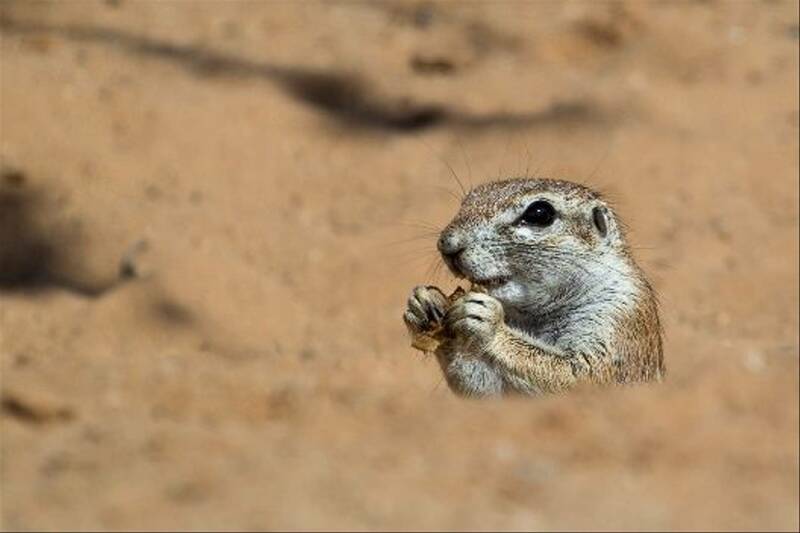 We conclude our holiday with five days exploring the Kgalagadi Transfrontier Park which spans 3.3 million hectares of the Kalahari Desert in South Africa and neighbouring Botswana. Our time here will be split between three nights at the wonderfully remote !Xaus Lodge and a night either side at Twee Rivieren near the park entrance. From these bases we will go in search of a fascinating variety of desert wildlife backed by majestic red sand dunes and lit by some of the most evocative sunsets in all of Africa. 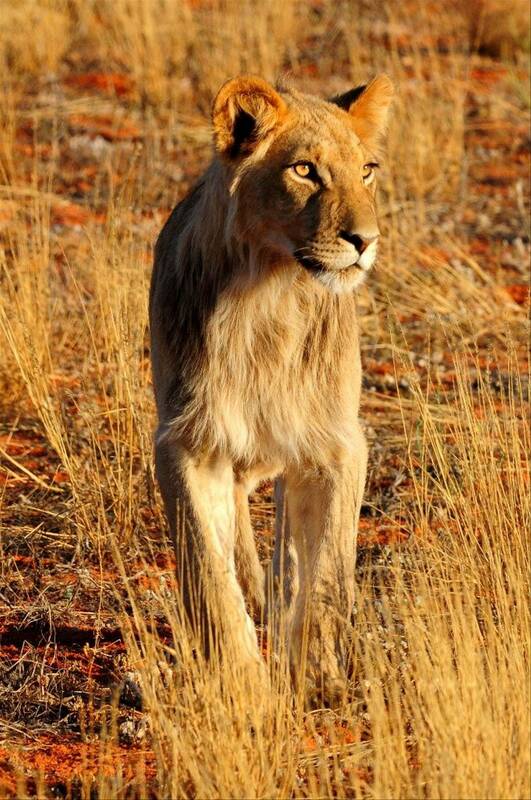 This is the home of the majestic black-maned Lions of the Kalahari, along with Cheetah, Eland, Springbok, Gemsbok and the endearing Suricate or Meerkat. Birds include Namaqua Sandgrouse, Karoo Korhaan, Greater Kestrel and the attractive Violeteared Waxbill. Afternoon game drives merge into night drives and the opportunity to turn our attention back to the main focus of our tour. Bat-eared Foxes and Lions are once again likely, but we hope for something rarer such as the shaggy Brown Hyena, Honey Badger, Aardwolf, Hairyfooted Gerbil, Woosnam’s Desert Rat, or for the very fortunate few perhaps the ultimate prize, a Pangolin! Naturally, we will be searching for some of Africa’s rarest and most elusive mammals on this holiday and so cannot give any guarantees of success! We will do our utmost, however, to maximise the chances of finding these elusive species and we have designed the itinerary around this goal. We hope that patience and perseverance will be rewarded, but whether or not our quarry decide to reveal themselves, we are still assured of an exciting variety of nocturnal and diurnal African wildlife enhanced by some of the most spectacular scenery in southern Africa. Due to the outstanding knowledge and expertise of our Naturetrek guides we were privileged to see all the 'wished for' rare mammals on this trip including Aardvark, Brown Hyena, Bat Eared Fox, African Wild Cat and the magnificent Black-maned Lion. This was besides an abundance of top quality sightings of more usual but equally beautiful mammals, birds, reptiles and insects. Every day was rich with exciting wildlife in stunning and varied settings. The title said rare mammals and so the question was would we see any? 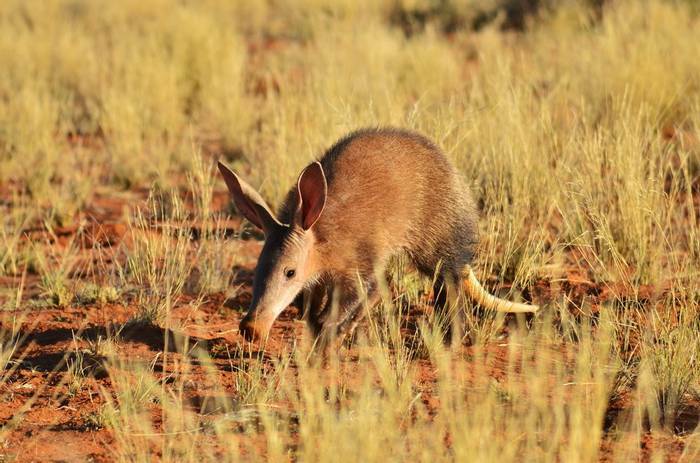 We most certainly did thanks to the excellence of our guides, aardvarks, aardwolves, brown hyenas plus 54 other species of mammals and hundreds of birds. It wasn't easy but that was to be expected hence our picking this trip as we'd done the big herds holidays. It was a very well planed itinerary making the most of what was a relatively short time in a huge landscape to maximise the chances of seeing these rare and elusive animals. Tough but worth every penny. Thanks guides for some heart stopping views. Main goal was to see an aardvark and we saw 5 (FIVE). Great diversity of other (rare) animals seen like aardwolf, hedgehog, black footed cat, caracal, brown hyena. The aim of the trip was to see South Africa's rare animals and we surely did. We did not have real quantity sightings but instead very high quality sightings. Local guides were excellent, very knowledgeable. Accommodations were excellent. This holiday is aimed at looking for South African Mammals beyond the Big 5. Target species include Aardvark, Aardwolf, Porcupine and Black-footed Cat, the joint smallest Cat in the world. We were also lucky enough to get Hedgehog. Also for Birders there was a chance to add a few species to their list. There is also a cultural element staying at a lodge run by the San and Meer people in the Kgalagadi Transfrontier Park. I thoroughly enjoyed my holiday to the point that as soon as I came home I arranged my next holiday to South Africa. Having visited Africa a number of times, I was interested to see the more unusual and smaller animals. 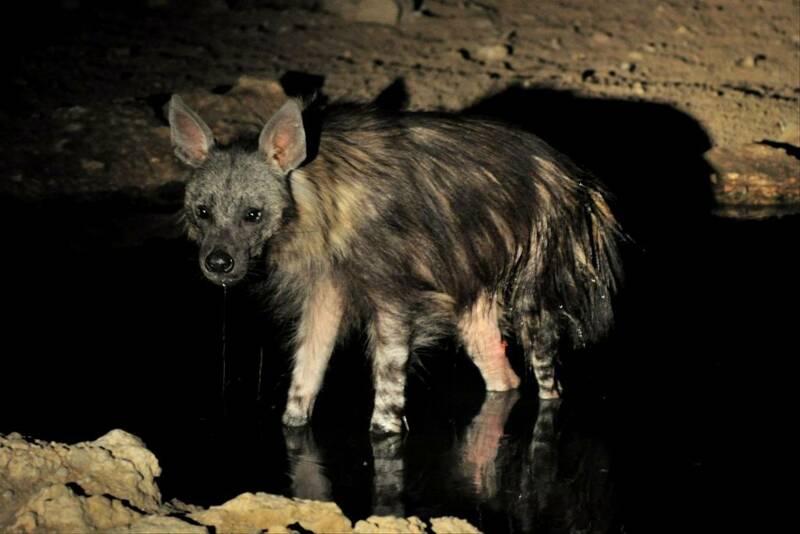 The night drives were wonderful and photographing an Aardwolf was rather special. A Honey Badger crossing the road and posing for a few minutes in daylight was a bonus. John and Jason made this a very special trip and I would happily travel with them again. The small group of 8 meant we all had plenty of room in the vehicles. The night drives were great. The food was the best I've ever had on a Naturetrek holiday, as we always had regional dishes. Our two leaders made the holiday. So knowledgeable and personable. The several locations gave opportunities for different wildlife. Small group giving window seats for all in two minibuses was good. Superbly knowledgeable leaders and their pleasant personalities and senses of humour gave much enjoyment to each sighting. Leaders' sensitivity to each participant's individual needs made the trip go smoothly. Good number of night drives to maximise the chances of seeing the target species. Small group size to ensure all participants in same vehicle on night drives (eliminating dust problem and unequal sightings for split groups). 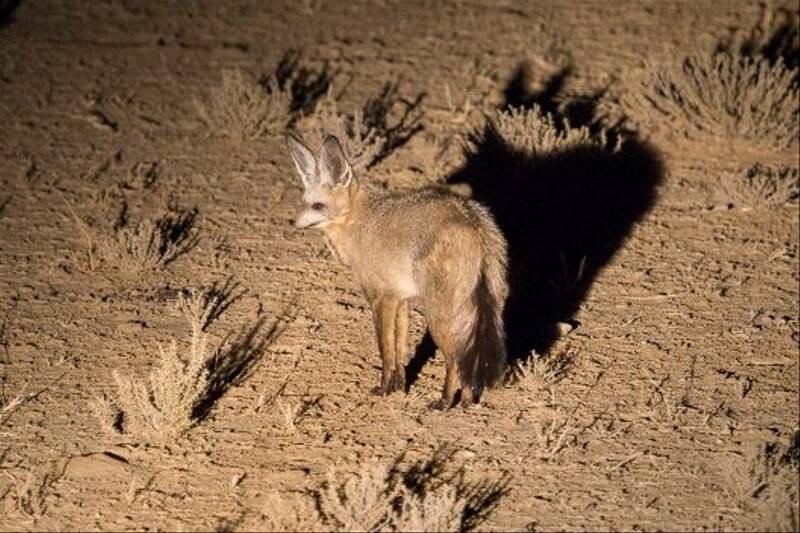 I enjoyed the opportunity to do so many night drives and see some of the nocturnal animals, especially the Aardwolf; spending time in the desert at remote Kaus Lodge and early morning sightings of Honey Badger, Meerkats and Bat-eared Fox. John and Jason also added to my enjoyment with their excellent spotting skills, knowledge, care and humour. John and Toby were great leaders - knowledgeable and personable. They worked well together and made the trip very enjoyable.